Last week: defeated No. 7 Seton Keough, 51-41, and No. 2 McDonogh School, 62-54. Last week: defeated Frederick, 62-55 (Power Move Winter Showcase at Western), lost to No. 1 St. Frances Academy, 62-54, and defeated No. 4 Roland Park Country School, 72-38. Last week: defeated Glenelg, 52-44, and Reservoir, 46-39. Last week: defeated then-No. 3 Western, 82-71 (Power Move Winter Showcase at Western) and John Carroll School, 57-47; lost to No. 2 McDonogh School, 72-38. Last week: lost to No. 4 Roland Park Country School, 82-71; defeated Mervo, 69-31, and then-No. 13 Poly, 52-42. Last week: defeated Francis Scott Key, 49-30, and Liberty, 65-51. Last week: defeated then-No. 13 Poly, 53-39 (Power Move Winter Showcase at Poly); lost to No. 1 St. Frances Academy, 51-41; defeated St. Vincent Pallotti, 61-45. Last week: defeated Archbishop Spalding, 71-53 (Power Move Winter Showcase at Poly), Chesapeake-Baltimore County (93-43) and Randallstown (84-29). 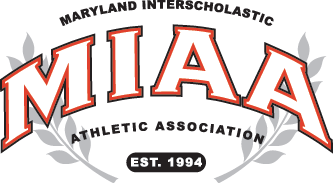 Last week: defeated Winters Mill (48-19), Elkton (61-39) and Dulaney (53-41). Last week: defeated Centennial, 51-41. Last week: defeated No. 19 Institute of Notre Dame, 46-36, and Notre Dame Prep, 49-31. Last week: lost to South River, 35-30, and defeated Meade, 49-39. Last week: lost to No. 8 Old Mill, 62-48, and defeated Southern, 58-32. Last week: lost to No. 7 Seton Keough 53-39 (Power Move Winter Showcase at Poly); defeated Edmondson, 69-6; lost to then-No. 3 Western, 52-42. Last week: defeated Benjamin Franklin, 60-26, and Mervo, 84-56. Last week: defeated Oakland Mills, 39-33, and lost to Mount Hebron, 41-37. Last week: defeated Hammond (66-39), then-No. 14 Long Reach (41-37) and Westminster (56-54). Last week: defeated then-No. 17 Mount de Sales Academy, 62-44 (Power Move Winter Showcase at Western), King’s Christian Academy, 49-41, and Woodlawn, 76-8.